Teri is one of the most photogenic people I’ve ever met. She’s also incredibly good at mugging for the camera and she’ll pose with just about anything. Seriously. Since she’s getting married in about 30 days, she’s getting all as many of the silly poses out of her system now as she can. 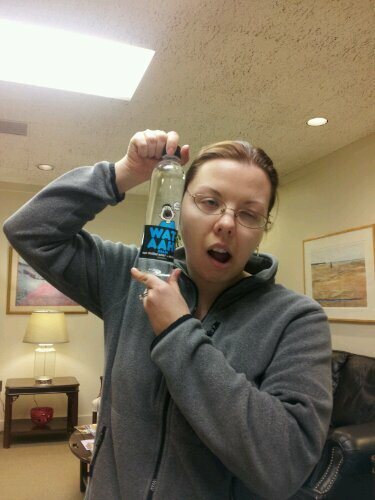 She picked up this water with the totally random label at lunch today. 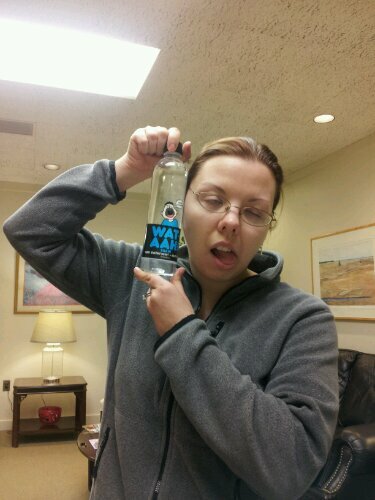 She decided, and I agreed, that it was zombie water. The bottle said something about BRAINS on it. As you can see this is going to take a while. 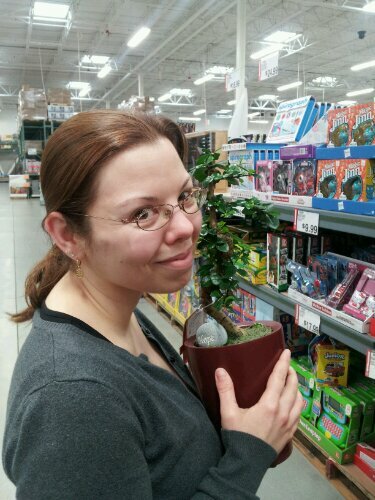 The other day Teri and I stopped to look at some adorable plants at our local big box store. As I have two black thumbs, she was keeping this one protectively away from me. So I took a photo instead. This plant, found at our local Trader Joe’s was instantly named Baby ‘Thulu. 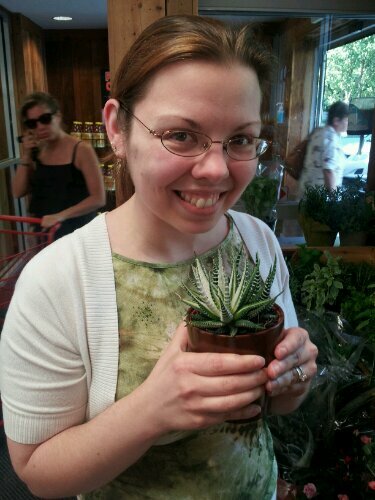 I said she should buy little ‘Thulu babies and use them as the centerpieces for her wedding. Naturally, Baby ‘Thulu came home with Teri. If I’d gotten it Scratch would have eaten it instantly upon entry into the house. 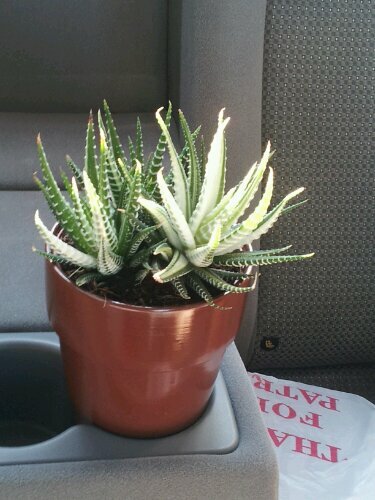 This was Baby ‘Thulu riding safely in the back seat of the car on the way home. Naturally, I was not allowed to touch it.